We spent over 14 days researching and testing 14 different kinds of liver cleanse products and found that brand reputation, performance, and ease of use were most important. 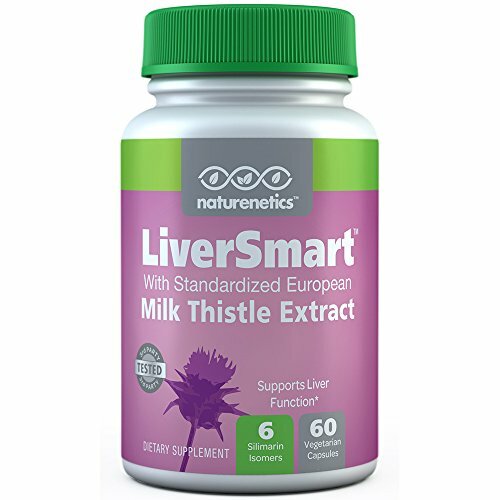 The LiverSmart Milk Thistle Liver Cleanse scored high marks in all categories and is our top pick. Directions for taking this product are very simple. We liked that each capsule was non- GMO, vegan friendly, and gluten free. There are 60 capsules in the bottle. Each capsule contains ingredients that are the best for proper liver cleansing. The company offers a ‘No change, No charge’ guarantee; If you don’t feel any difference after taking the product, you get your money back. With all of the chemicals and additives that are put into your body each day, things can get sluggish and bogged down and affect your health. Over the years, doing a liver cleanse has been a great way to rid the body of unhealthy toxins and get everything back on track. These top rated choices are all good for accomplishing the goal of cleaning up the system and getting your liver in great working order. The liver is a very important organ and is crucial in ridding the body of waste and toxic chemicals. When it isn’t working properly, the evidence can be seen in many ways throughout your entire body. For this reason, it is important to do regular liver cleanses to make sure that your body is running at top performance. It will affect how you feel, how you look and your overall internal health in drastic ways. Read below to learn the benefits of the top rated choices we have reviewed and see if any one of them fits what you are looking for. When it’s time to give your body a good cleansing, a great product to reach for is LiverSmart Tested Milk Thistle Liver Cleanse Formula. Milk thistle is a commonly used ingredient in supporting the health and function of your liver. The active ingredient in this product, Silymarin, is a powerful antioxidant that has many healthy properties that get your liver in prime working order. Users that take this product will get 250 milligrams of Milk Thistle Extract for every capsule that has been standardized to 80% Silymarin. This means that you are getting 200 milligrams of Silymarin for every capsule that you take. Directions and dosage is easy. Just take 1 capsule with meals 1 to 3 times each day. Ask your doctor what the proper daily amount is for you. There are no additional non-active ingredients (fillers or flow agents) and each capsule is vegan friendly, gluten-free and Non-GMO. Consumers get a risk free chance to try this with the “no change, no charge 100% money back guarantee. If you don’t notice any difference at all, they will give you your money back. It is a great way to get your liver cleaned out and will make you feel a lot better too. When the liver isn’t working properly you will feel it in every other area of your life. For that reason, there are products that are designed to help get your liver straightened out so you can start feeling good again. 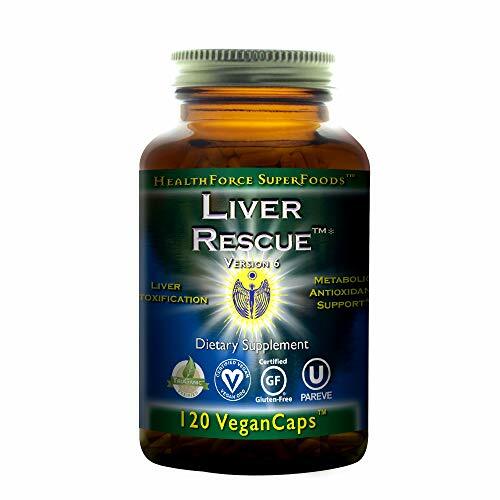 Healthforce Liver Rescue 5+ is one of the best products on the market to cleanse your liver and get it back on track. The active ingredient in Healthforce Liver Rescue is Milk Thistle Seed Extract that is standardized to 80% Silymarin. Other ingredients include Dandelion Root Extract, Chanca Piedra Extract and Pichroriza. These VeganCaps are just the thing you need to get your tired liver back on track and operating optimally. All you need to do is take two capsules daily. There is an intensive use dosage on the bottle of 6-12 capsules daily, but this dosage should not be taken without the recommendation or your doctor. Healthforce Liver Rescue does not prevent liver disease but it does help the liver operate properly and that will make you feel more energized. When your liver isn’t working correctly you can feel exhausted, drained, achy and many other not so pleasant things. Maxx Labs Liver Detox Energy Formula is exactly what you need to get your liver cleaned up and functioning properly. All you have to do is take 2 capsules daily and that’s it. 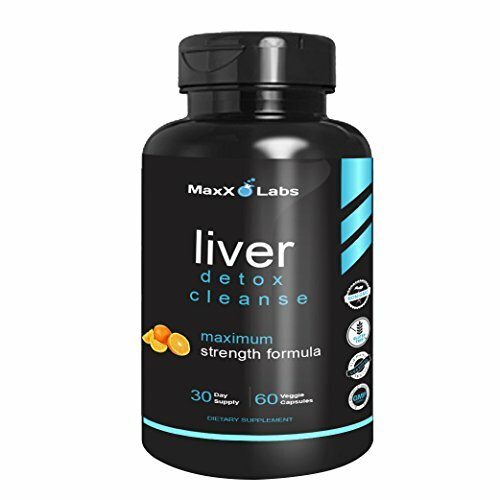 The special combined ingredients that are in Maxx Labs Liver Detox provide relief from your liver symptoms and restore the vitamins that are depleted from your system because of that struggling liver. Maxx Labs wants their customers to be satisfied with the products they purchase, so this product has an unconditional 100% money back guarantee that states if you are not completely satisfied with the results you can return the bottle, even if you use every last capsule, and receive a refund. This must be done within 90 days. With a guarantee like this, you have nothing to lose by trying it and seeing how you feel. Don’t spend another day with a sluggish liver that makes you feel tired and achy. Take Maxx Labs and get things back on track. When it comes to taking care of your body, it’s very easy to forget all about things like the liver and how it is operating. For this reason, there are products like the top rated liver cleanse products we’ve reviewed here. Each one is designed to take care of the problems the liver is having and get it back on track. Read the buyer’s guide below to learn a lot more about liver cleanses and the importance of doing them. The top rated liver products here are a few of many available so knowing the right information before you purchase prevents you from purchasing a product that doesn’t address the needs you have. You have probably heard the term a lot, liver cleanse, colon cleanse, liver detox but what is it really and what does it do for your body? Liver cleanses purify the liver of built up toxins and sludge. It can also get rid of stones that can potentially cause trouble later. One method of liver cleansing that many try involves drinking or taking a special mixture of herbs over a period of 4 days or so. This mixture supports the regular detoxification process of the liver. On day 5 the person doing the liver cleanse is supposed to drink 6-8 ounces of olive oil to flush the liver. This is not easy on the body, nor is it very practical for those who have to work fulltime or take care of a family as it is taxing on the body and can make you feel ill while you are going through it. Liver cleanse products are available all over the internet that help in the detoxification process and many don’t require the need for doing such drastic and sometimes hard to stomach things. Liver cleanses only need to be done a couple of times per year to keep the body free of toxins and other things that can cause the liver problems. What you eat and drink will play a huge factor in the health of your liver overall and the effectiveness of the cleanse you do. If you fill your body with tons of unhealthy food and drink, you will not see much of an improvement even if you do a liver cleanse. There are many functions in the body that the liver is responsible for. For this reason, when things get sluggish or go wrong with the liver, it will affect many other functions. Below are just a few of the functions that the liver takes care of. Maintains the balance of the body’s glucose, proteins, fat and cholesterol, your hormones and the fat soluble vitamins such as A, D, E and K.
The good news is that there are things you can do to get your liver functioning again at optimum levels. Below we will discuss the benefits of doing a liver cleanse. Some people may think that liver cleansing is just a way to get people to spend money, but this is far from the truth. There are many benefits to doing a liver cleanse. It’s a great way to start eating a different way and if you want to lose weight, liver cleanse can be a perfect jump start. Here are some of the most noticeable benefits. Weight loss – the liver produces bile which is what the digestive system uses to break down fat. If the liver isn’t breaking down fat properly, chances are you have excess weight that you can’t seem to get rid of. Detoxing your liver is the first step in fixing this problem and you will most likely notice the weight starts to drop off. Supports the Immune System – The liver is also responsible for reducing toxins that end up in the body. Cleansing the liver will give your immune system a boost, helping you resist colds and flu. Helps Prevent Liver Stones – liver stones are a product of the diets that people follow. They form due to too much cholesterol in the body. These tiny stones can block the liver and gall bladder. Some people can have as many as 200-300 liver stones affecting the liver’s ability to detox. Cleansing the liver can expel anywhere from 100-300 of these stones. Boosts Your Energy – Some of the byproducts that are made by the liver are nutrients that the body uses for other functions. Sometimes, because of too much toxic buildup or too many liver stones, the nutrients won’t make it to the bloodstream. The biggest sign of this happening is loss of energy. Doing a liver cleanse will help the body get all of its nutrients, and you will feel like a new person energy-wise. Vitality Increases – Cleansing the liver restores it to peak efficiency. When you get rid of the toxic buildup of your liver, your skin will look healthier and brighter. In addition, with the increased production of bile the fat will be broken down easier and faster so your body will tone up easier and you could even end up looking and feeling a lot younger than your age. In addition to the products reviewed here to do the liver cleanse, there are foods you can continue to eat and add to your diet that will help keep your liver from clogging back up. We’ve made a list of those foods that are good for you to add to your regular diet. There are many ways to get these foods into your daily diet and they are foods that many of you may already like and be eating. Continuing to eat the above foods after you do a liver cleanse will keep the liver working better and not allow it get bogged down so quickly. If you have specific health conditions, you should not do a liver cleanse without a doctor’s assistance and monitoring. Some people can be much more vulnerable to the hazards that a liver cleanse can cause. It’s because of this that you should check with a doctor before you get started with the liver cleanse. People with the following conditions should exercise extreme caution. With all of the liver cleanse products on the market, it may feel really overwhelming to try and figure out which product is the best one to use. The three top rated liver cleanse products here contain the ingredients needed to help rid your liver of the toxins that are negatively affecting it. Taking the right liver cleanse product and then continuing to eat better foods that also support liver health can make a big difference in your overall health. It can even turn the clock back a bit and you will look and feel different. You need to be careful when doing a liver cleanse, that you don’t tax your body and that you talk to your doctor before you get started. If you have any of the symptoms of a toxic or fatty liver that we listed above, talk to the doctor and see what they recommend. These products provide the ability to help the liver get rid of the toxins slowing it down and that means those symptoms that are affecting you will start to go away. Beware of over doing it and combining the liver cleanse product here with a more extreme fasting program. You could strain your body too much and end up defeating the good you want to do. Liver cleanses are excellent ways of getting the body back on track, but you do need to use care and common sense to get the maximum benefits.